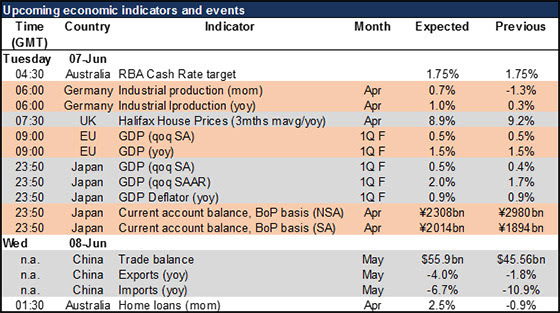 UK Industrial Production, RBNZ OCR Decision,China CPI – The day starts out with the industrial production data from the UK. 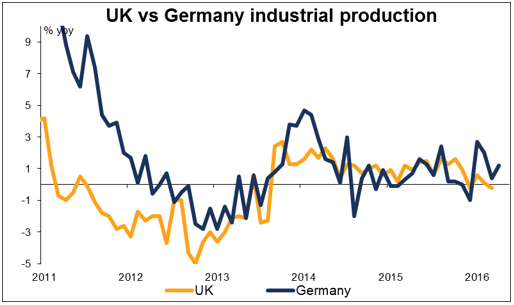 German IP, released yesterday, was slightly better than expected, but recently German production has been doing better than UK production, so that doesn’t necessarily mean a better-than-expected outturn for the UK, especially as the Brexit referendum approaches. Assuming that the figure comes out near expectations, I think the weak data could prove negative for GBP as it supports the idea that the UK economy is softening beyond what Brexit fears might suggest. 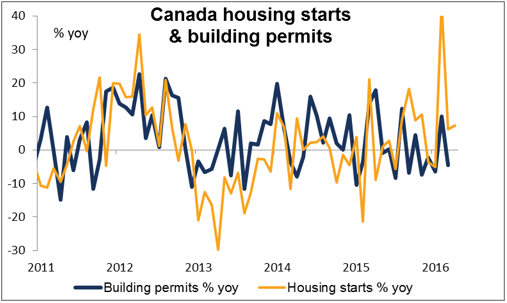 In Canada, housing startsare expected to slow but building permits are expected to rise. In any case, the pace of increase in housing seems far away from the Bank of Canada’s 9% per year forecast. In that respect I would expect the figure to be negative for CAD, depending of course on how the next indicator comes out. FXPRIMUS, is an Investment Firm with registration number HE 337614, and is authorized and regulated by the Cyprus Securities and Exchange Commission (CySEC) under license no. 261/14.